As many as seven people have been killed after a plane crashed into a hill, Daily Star UK reports. The aircraft was flying through bad weather when it crashed into a steep hill and tumbled to lower ground – killing the pilot and six passengers. Two of the bodies were found completely burned while the other five were dismembered. Pictures show the small plane scattered in pieces around the area. The wreckage was discovered by a small plane near the town of Imala in the north-western Mexican state of Sinaloa. It was about 17 miles from Culiacan airport. Authorities confirmed the names of those who had been killed. 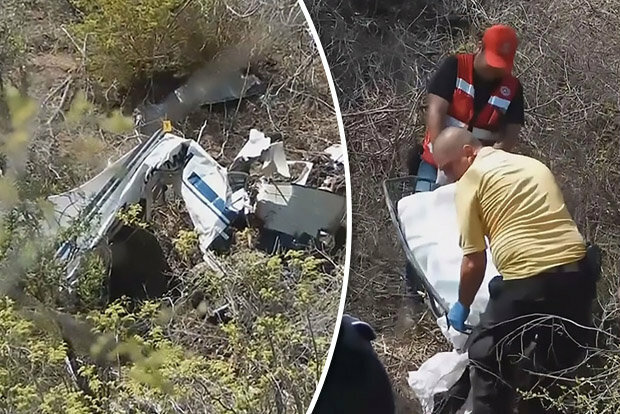 A spokesman for the communications and transport ministry said: "The plane was carrying the pilot, Geronimo Meza Rios and six passengers named as Luis Angulo Loaiza, Guadalupe Angulo Loaiza, Jesus Angulo Loaiza, Aracelo Angulo Aispuro, Antonio Angulo Nunez and Fidencio Angulo Vidana." Relatives were at the scene yesterday to claim the bodies of their loved ones. An investigation into the accident is being conducted. Constant heavy rain was reported to have been a possible contributor to the accident. It is not known when the outcome of the investigation will be released.